Ihr Lieben, der heutige Post ist doch recht spontan entstanden, und doch wird es Zeit dass er es endlich auf den Blog schafft. 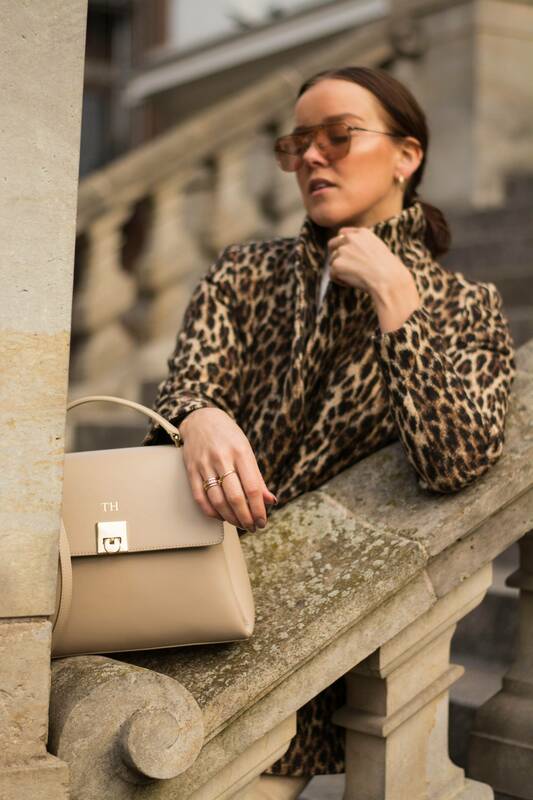 Sowohl Leo Coat als auch Mon Purse Handtasche sind in den vergangenen Wochen meine ständigen Begleiter geworden, und doch hat es irgendwie noch keinen Post – weder auf Insta noch auf dem Blog – dazu gegeben. Also höchste Zeit, dies zu ändern (auch wenn ich derweil in einem Bikini an Thailands Stränden entspanne ;)). Oh yes love! That’s a beautiful coat. And that bag is so chic. It’s perfect for a everyday carry. The coat is beautiful and teamed with the neutrals looks amazing! OMG that bag is soooo gorgeous!! 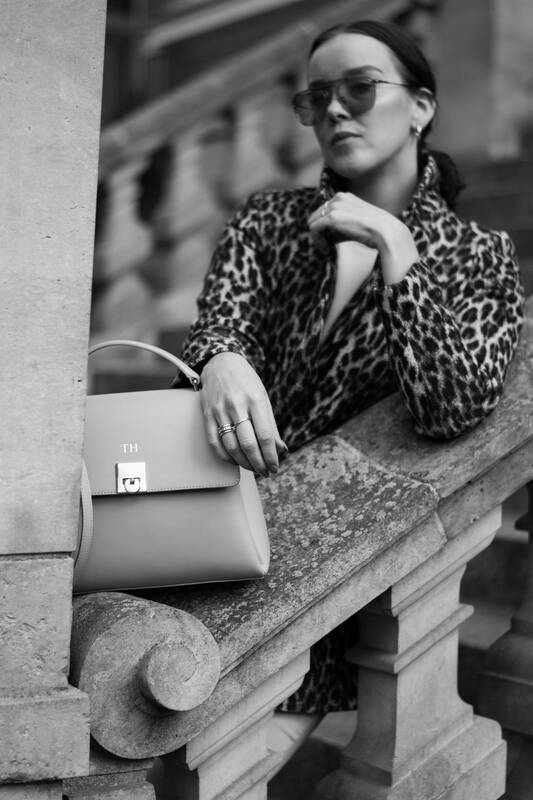 Love how you have styled it and I love the monogram detail! These photos and your outfit are absolutely gorgeous! I love the neutrals and how gorgeous the tones are on everything! So stylish , love this outfit!!! Mantel is amazing and bag too!!!! Mit Leo kann ich an mir zugegeben nicht sonderlich viel anfangen, an anderen sehe ich diesen Look jedoch total gerne. Classic chic and classy look dear. 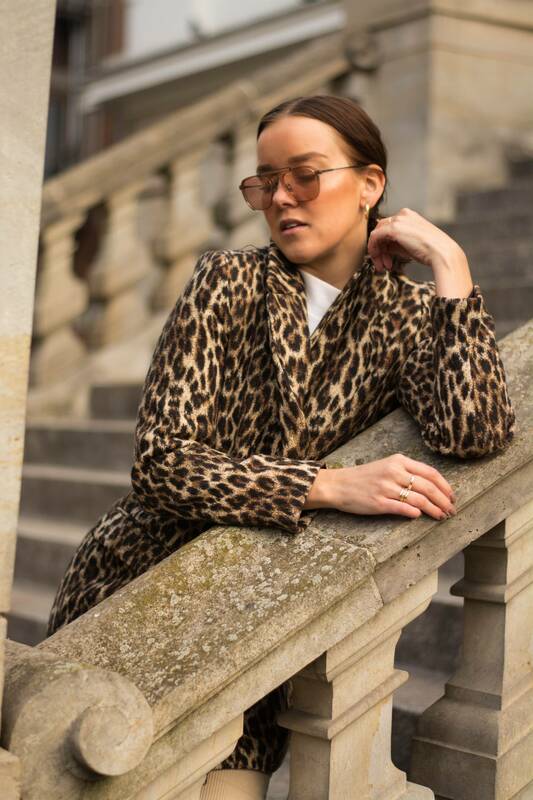 You just can’t go wrong with the leopard print. So chic! I love this combination of corduroy and leopard! Leopard print is always a must-have!! love your outfit so much especially you coat..great post you have here. I’m so obsessed with your coat!!!! It looks so cozy and stylish! I love this shoot <3 wooow! Aber auch die Tasche kann sich sehen lassen. Eine sehr schöne Kombi meine Liebe! Loving your outfit!! It’s so cool and chic! Have a lovely day dear!! Der Leo Mantel steht dir total gut und die Kombination mit Beige gefällt mir! I love your coat.I’ve always been such an animal print fan and I also really love the bag.It looks so classy.